Before I begin this blog post I have to share some exciting news with you! I just became one of the 50 Influencers selected by O, The Oprah Magazine to become part of their inner circle. I am so excited about this journey and can’t wait to share it with you! 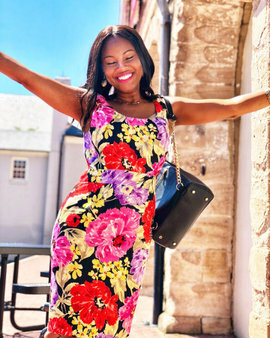 Remember to subscribe to the blog or connect with me on Instagram @singlemomchic. 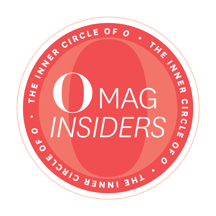 I will be using #OMagInsiders every time I have exciting O news to share. Don’t forget to follow along- I don’t want you to miss a thing. Now onto some more exciting news! This month I am adding a new feature: Single Moms Who Rock. You already know that I like to share new things that I discover and love and while I won’t be talking about amazing lipstick or the best no wrinkle shirt in these features, I will share interviews with some amazing moms who are doing great things! Before we really get started let me explain the title a bit..when I was in graduate school and still working my full time job as an office manager we had a new phone system put in. The older gentleman who set it up was from New York. He was talkative and witty and had a nice italian accent. We chatted a bit and laughed about random things that don’t really come to mind now, but when he left I noticed that he programed my name into the phone’s electronic screen. To my surprise he had programed it as Tonya Rocks! Seeing those two little words everyday made me feel like I was a mover and a shaker, and while I hadn’t done anything earth shattering I was making my world a little better by taking steps to reach my goal. It was a great mood lifter and motivator. So when I think of other women who are really doing a phenomenal job at mothering and making moves in their field I can’t help but think they Rock too. So here’s hoping that we are all inspired and motivated to Rock On a little harder. This month’s Single Mom Who Rocks is- Stef of the Chicago based soul band The Right Now. Not only does she have amazing vocals with incredible range and depth but this super mom of two ran a marathon a year after having her first kid! Ahh..mazing! She also works a full time job in addition to her music career! Whew that makes me tired to type it. Let’s find out how she does it. What inspired you to pursue singing professionally? My father worked for the Chicago Stadium and United Center for most of my childhood and I’ll never forget countless nights he would bring me to work with him to catch any live show that he could get me into. It was like going to the candy store…you didn’t know exactly what you were going to get, but you knew it was going to be good. I remember sitting next to strangers and soaking up the feeling I got while watching a live show come together with all of its elements. I knew at a young age that I wanted to be a part of something that made human beings “feel” and I knew that I had the opportunity to do it. Wow, I love that! 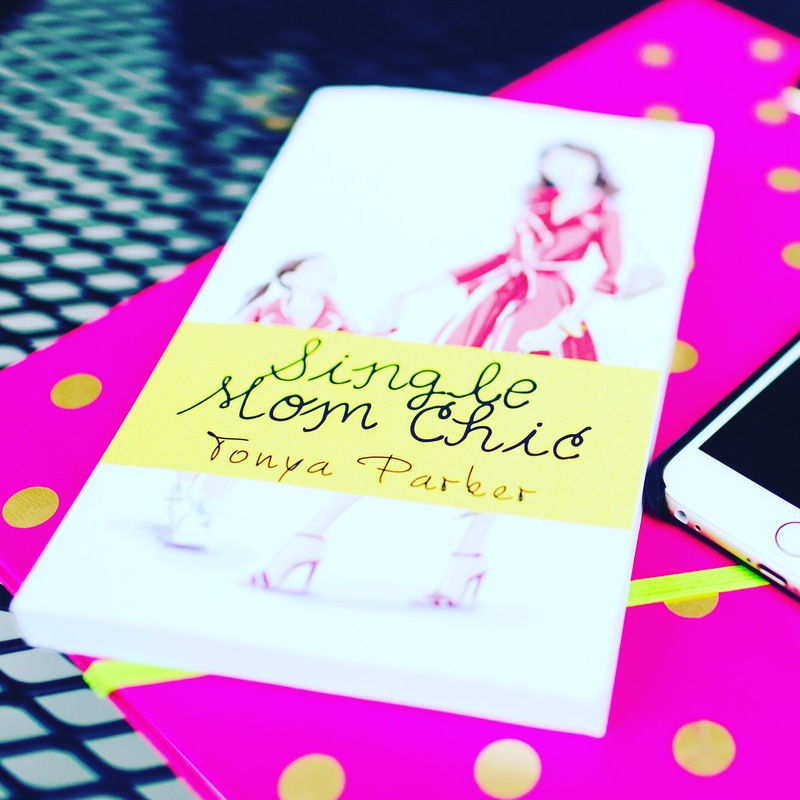 What has been your biggest challenge as a single mother and how did you overcome it? Balancing career, kids, and passions is an enormous challenge for any mother or parent. I think the biggest challenge for me was to not feel like I had done a disservice to my children following a major life decision such as divorce. There is still a “we” and I remain dedicated as a co-parent and dedicated to showing our kids that they are always surrounded by love no matter what life throws their way. I can relate to those feelings. I love how you realized very quickly that dedicated co-parenting and showing them they are loved in spite of challenges helped you all overcome a little. How do you balance being a mother and a musician? My caffeine intake is high and I honor my calendar (I seriously look at the thing nearly 15 times a day). I also have an unbelievable support system and the most incredible co-parent. All of whom have been on this journey closely with me over the years and we all share in the joy together. Also, I’ve had to learn that it’s OK to say “no” at times. You are speaking my language! Building and relying on your team and knowing when to say “No” are all things I write about often. I’m inspired by how sounds, words, and melodies all work together to make an individual feel. Music and performing has been a way for me to transmute so much energy into anything I want it to be. I’m continually inspired by the power that brings. That is so cool. I guess I feel that way about the written word. How did you meet the other members of your band? I met Brendan O’Connell (band leader) at a mutual friend’s restaurant one night back in…gosh…2007. He was playing guitar at the front of a bar with his band and I was in the corner most likely eating duck mac n cheese. I sat in with the band on a song at the request of our friends and the few folks at the bar. That night Brendan asked for my number and called me up shortly after and asked if I was interested in writing music and putting together a live band. I said yes! Chris Corsale (guitar), Greg Nergaard (bass), Jim Schram (tenor) were all original band members that we got on board through the music circuit. Caleb Mitchell (trumpet) and Lucas Gillan (drums) are the newest members in the lineup, but have been part of the family for quite some time. I really like that you consider yourself a family. What has been your biggest accomplishment as a musician so far? This nine year run with The Right Now has surely been my biggest accomplishment. I met Brendan when I was 22 and at that time I was very green in the game. At that time I needed to start deciding who I was going to align with and really think about what kind of career I wanted to have for myself. Starting the journey with an original band allowed me to grow tremendously as an individual and a performer. It’s also taught all of us so much about building and sustaining our own business. The band has also become my family and we’ve all seen each through so much. I’m still challenged to grow every time we get together in a room and make some noise and I’m so unbelievably proud of all the amazing work this group has put out to the world. That’s great Stef! I think it’s so important that we all feel challenged to grow. I think that’s why I am always trying new things. Thank you for your interview! Stef sounds amazing right? I am unbelievably proud of what she has accomplished as a single mother. It seems like she is living her best life. Is there a passion you want to pursue? Start drafting a plan today. I love seeing moms follow their dreams. If you have an idea for a Single Mom Who Rocks Feature let me know. I love when women support other women. Here’s a link to a live performance of The Right Now. I am loving their sound!